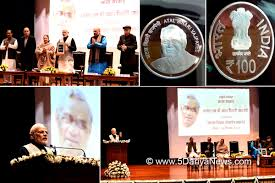 The Prime Minister, Shri Narendra Modi, today released a commemorative coin in honour of former Prime Minister, Bharat Ratna Shri Atal Bihari Vajpayee. Speaking on the occasion, he said that our minds are not ready to believe that Shri Vajpayee is no longer with us. He was a stalwart loved and respected across all sections of society, he added. He said that over decades, Shri Vajpayee's voice remained the voice of the people. As a speaker, he was unparalleled. He is among the best orators our nation has produced, the Prime Minister added. 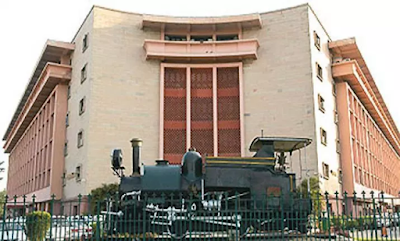 Shri Narendra Modi said that a long part of Shri Vajpayee's career was spent in the opposition benches, but he always spoke about national interest. The Prime Minister said that Shri Vajpayee wanted democracy to be supreme. He expressed confidence that Shri Vajpayee will continue to be an inspiration for all of us.